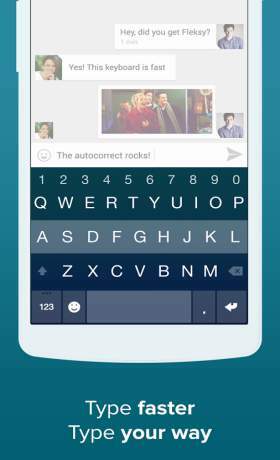 ★ SPEED — With the world record in typing speed, Fleksy lets you type fast while maintaining accuracy. ★ DESIGN — Dozens of beautiful themes with award-winning design. ★ FUN — Express yourself with thousands of GIFs, Stickers, and emoji! ★ CUSTOMIZATION — Make it yours by modifying the keyboard, choosing the look & feel, and adding powerful Extensions. BEAUTIFUL DESIGN. 40+ COLORFUL THEMES. 3 CUSTOMIZABLE SIZES. 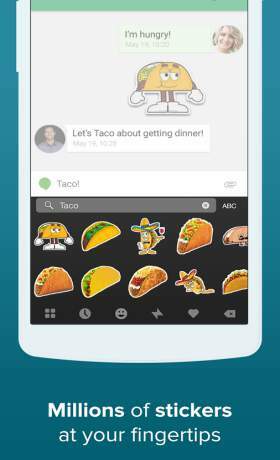 Express yourself with GIFs, Stickers, over 800 Emoji, 40+ themes, and Rainbow Key Pops. Then, earn fun Badges and rewards for using Fleksy! Who said typing had to be boring? 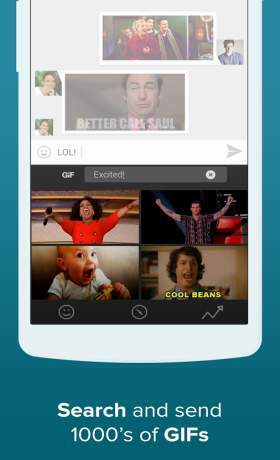 Fleksy includes optional in-app purchases for premium content.